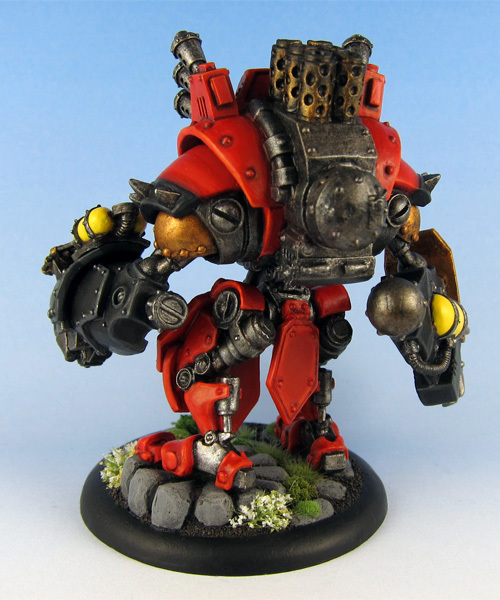 Despite my initial reservations the new Khador plastic jacks are fantastic to work with. They offer great options in posing the mini and bend easy when some heat is applied. 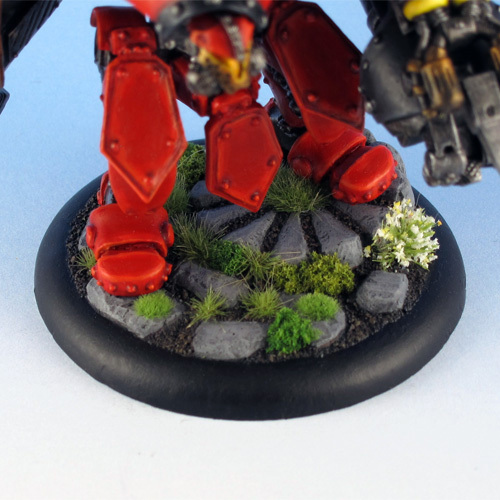 I was a bit disappointed that there was no Khador symbol on the back of the jack, as there was on the metal jacks, so I added my own. 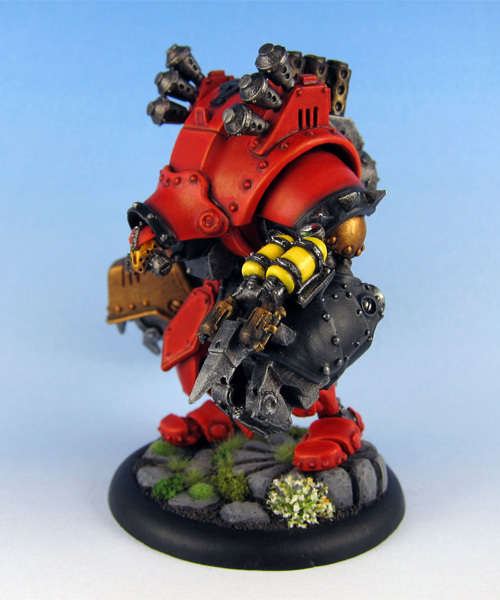 This mini was based on a metal base to increase the weight. 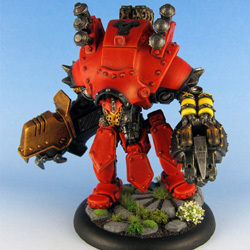 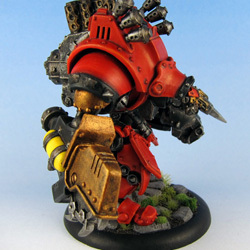 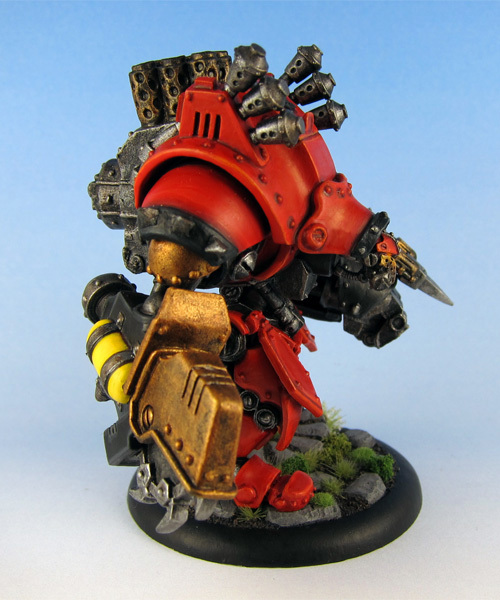 The favored warjack of Kommander Strakhov is a relentless engine of destruction. 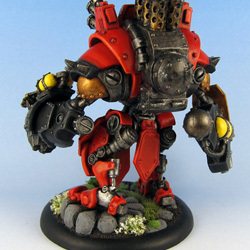 Virtually nothing can prevent Torch from reaching its target; it burns and batters enemy troops from its path, while its whirling saw and pounding fist reduce warjacks to scrap. 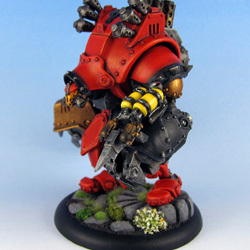 The massive ’jack can charge through forests, thick undergrowth, or the corpses of its felled enemies as easily as it moves across an open field.